So what did you buy? I bought a slice of pizza pizza and paid $13 for parking. That's ok. 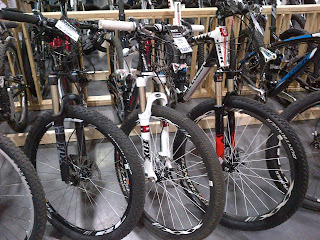 I got to meet up with friends and shoot the $hit for several hours hunting for deals. Sadly there were no XTR drivetrain parts. 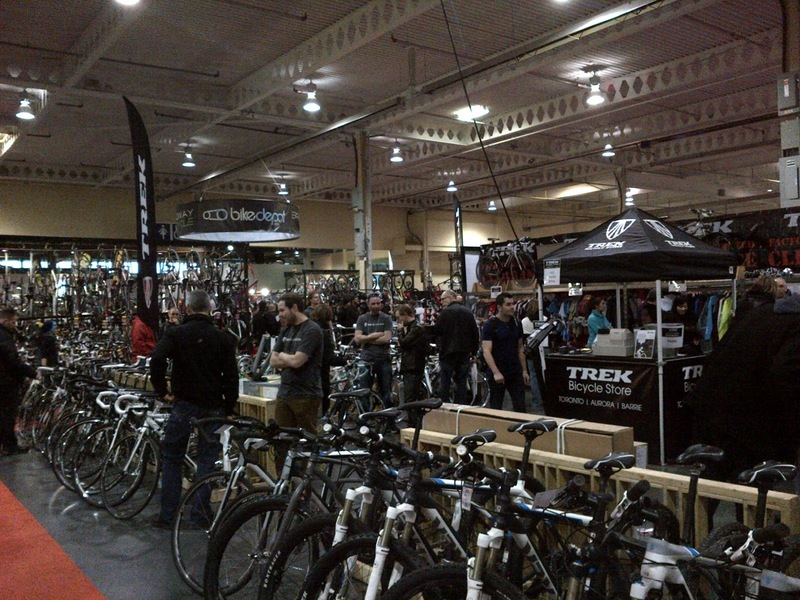 Shimano Canada did not have a full booth at the show. But I did track down some Shimano guys to ask them some specific questions on the M985 crankset... More on that later. 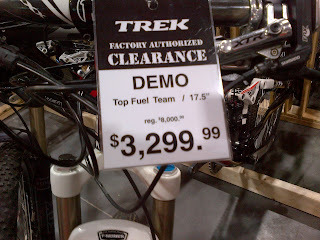 Next deals comes from the Trek Toronto store. 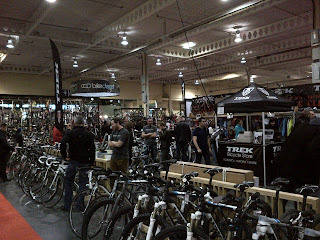 I find they always have awesome full bicycle deals "at the show". 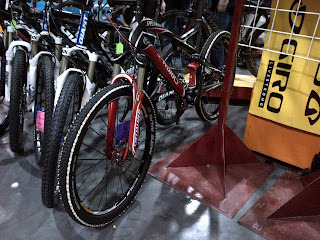 Some of the bikes there are demos. The others are just left overs from the previous years. 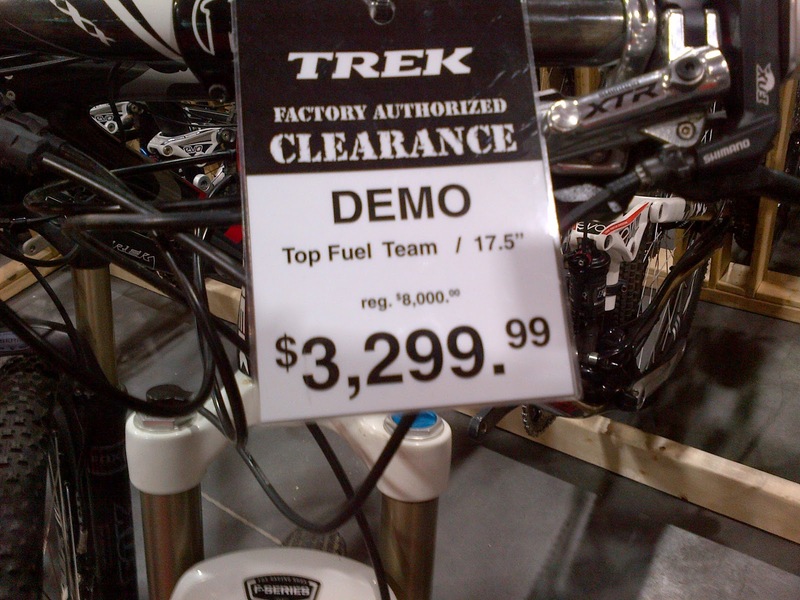 But the demo ones are the ones that will save you serious money (Yes they have scratches on them, get over it). 2011 Trek Fuel full loaded with all XTR M980/M985 groupset, with top of the line Bontrager wheels and cockpit. $3299. 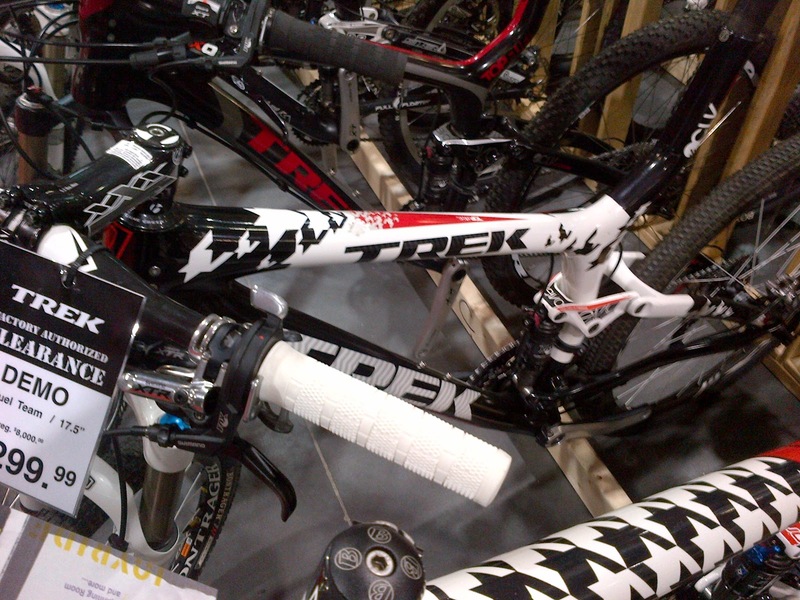 They also had 2 demo Trek Elite 9.9 SSL built up with full XTR M980/M985 groupset. Going for $2799, again previously used. But who cares? You are saving huge, and someone already scratched the bike. That means you won't cry as hard when you put a scratch on the bike yourself. 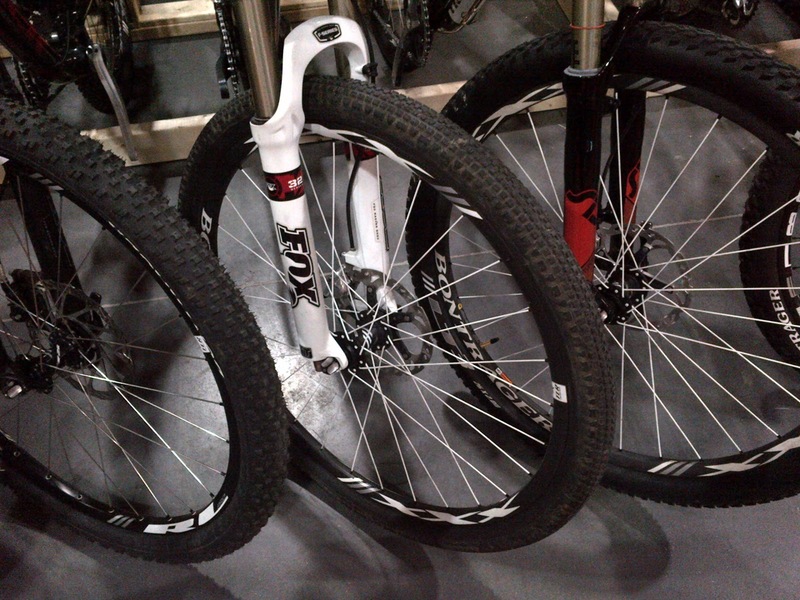 These 3 examples had me thinking about them real hard... stripping them down and selling them part by part on ebay. 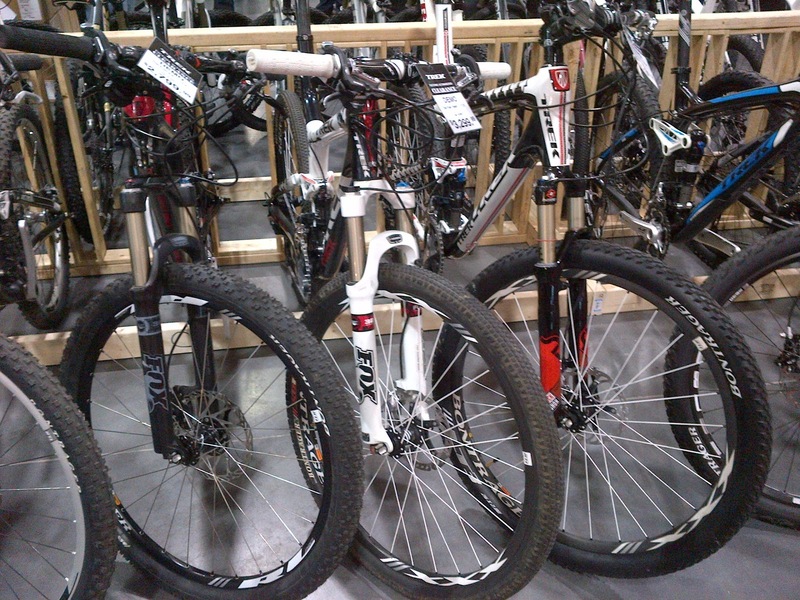 If I wasn't building up my Rocky Mountain Team Element, I would seriously consider any of the 3 options. The prices were just too good. As always, you are better off buying complete bikes at the bike show. Also remember, cash talks. 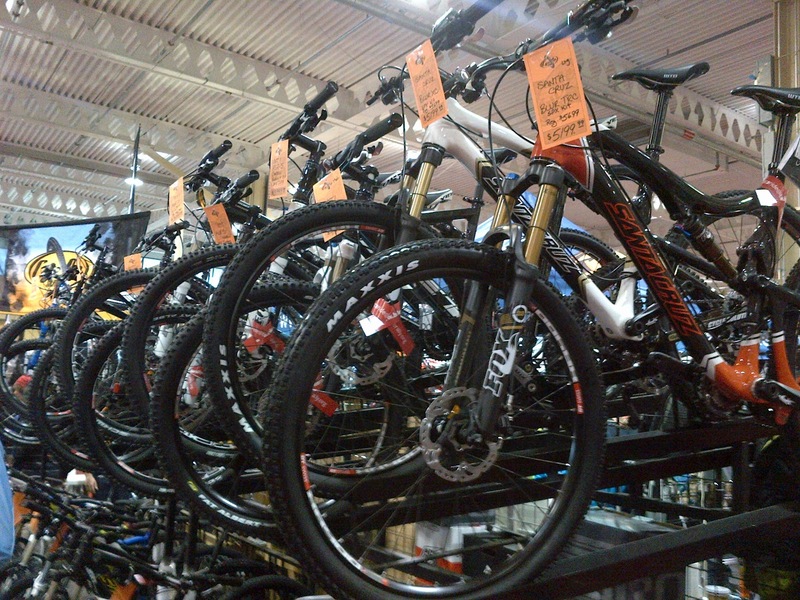 If you are dead serious in buying a bike, bring cash. Even if it is $5000. You'd be amazed at the look of the store owner's faces when you start haggling and you flash a thick stack of 50s in their face and how quickly their tone changes when they reject your first offer. Happy Bargin hunting! Remember my motto. "Don't ever pay full price! I don't." 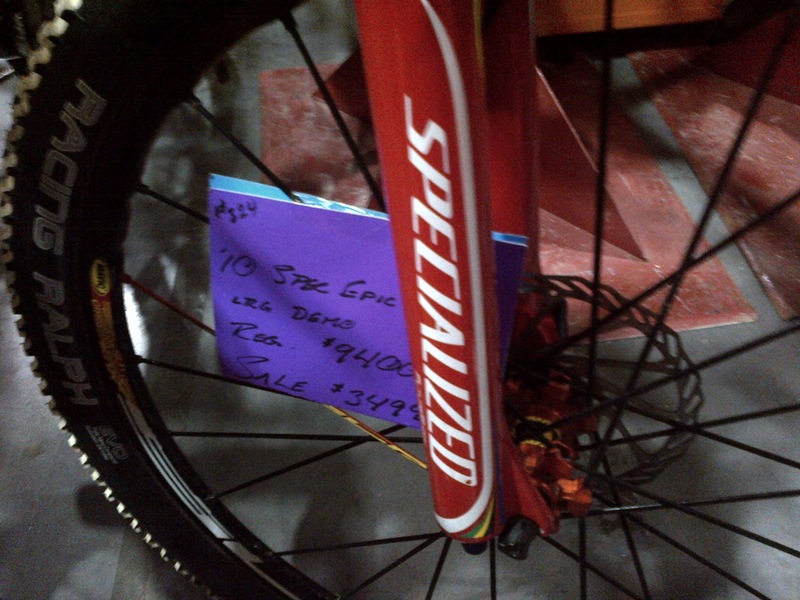 specialized cranks are not made by lightning. specialized licenses the design that lightning owns, but there are some key differences, and they are not made in the same plce.